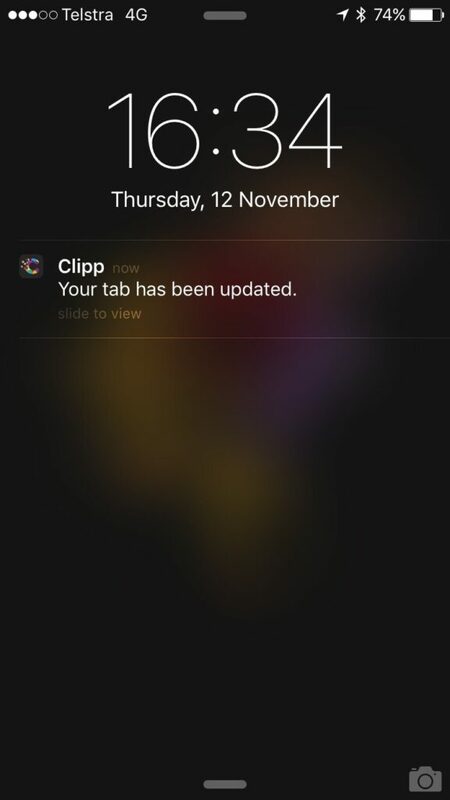 Clipp (iPhone/Android) is one of my favourite apps that I love to show off whenever someone asks me what they should try next. Ever started a tab at a bar, and then left without your credit card? Did a bit of a beer tasting, and forgot the name of the one you really liked? Or just simply want to keep track of your spending on a night out? Clipp is yet another one of those mobile payment apps, but tailored just for your local pub or hotel. 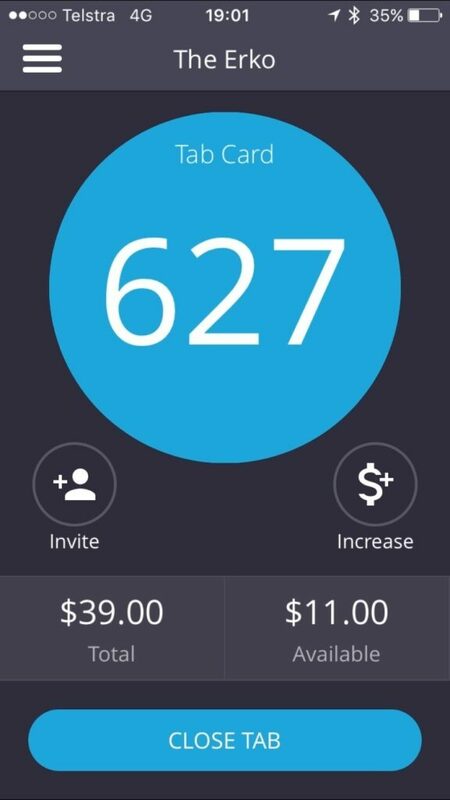 Download the app, create an account, and add your credit card or PayPal account to get started. You’ll see a list of nearby venues, including those who have ‘hot offers’ if you’re in quick enough. Be warned that you should pick an avatar that shows you at your best – it may just show up on the point-of-sale system at your next venue to pick who you are! Opening a tab is easy. Pick a venue, tap ‘Next’, and then set a limit. Depending on the venue, and payment method, you may be able to increase this limit later should you come close to reaching this. Once you’ve set your limit, you’ll be given a tab number, or a name, depending on the venue. Some tabs may start with your ‘name’ as the ‘number’, others will go straight to the number. Head to the bar, order your favourite drink, and show them your phone. They’ll find you by your number, name and/or avatar and you’re good to go. 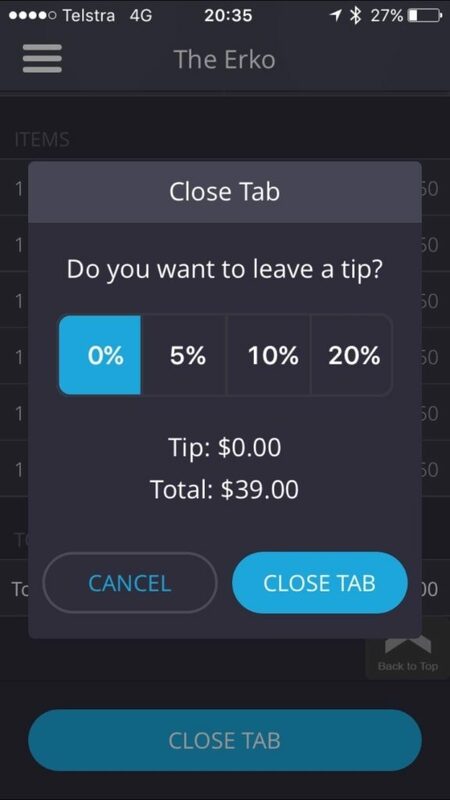 When you’re feeling a little buzzed and ready to leave and head home, just tap ‘Close tab’, and you’ll be asked to leave a tip (if you’re feeling particularly generous). You’re done! Now you can just walk out of the venue, and you’re all sorted. 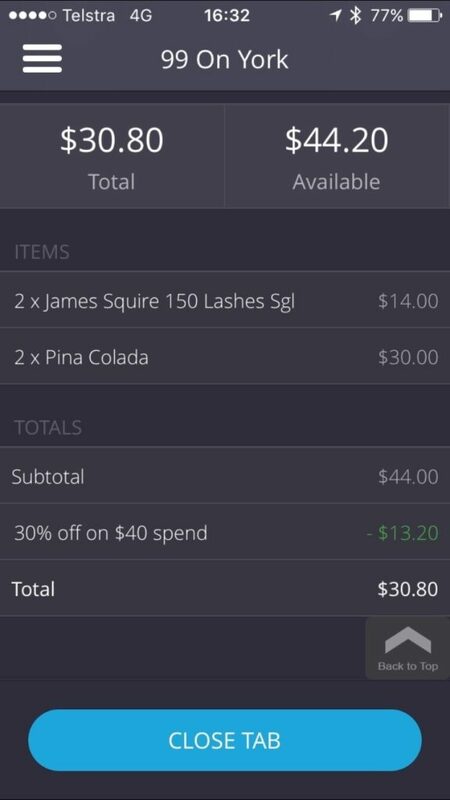 You’ll get an email receipt too for your tab. While at first you might think Clipp is a great way to bypass those pesky minimums and surcharges when paying by card, unfortunately the venue still adds these and passes these on, including when using PayPal (and linked to a bank account) – no free lunches here. Of course, these apps are only as good as their popularity and reach of acceptance – there’s a handy venue search tool on the site here. Some venues may also allow you to add food to your tab, but this definitely varies from venue to venue, so don’t count on paying for drinks and dinner with the one Clipp tab. Perhaps the main downsides when it comes to Clipp is a lack of staff education – some venues only accept Clipp at a certain bar, but not another at the same venue. Clipp may only be accepted if you go to the bar itself – and table service might not be able to add it to your tab. Some staff have no idea what’s going on, and others simply encounter technical issues (an annoying ‘venue offline’ message). Hopefully this can only improve as time goes on and more people use Clipp. Overall, I find Clipp great if just for the process of starting a tab – no handing over credit cards or drivers licenses, no need to wait at the end to close the tab and collect your card, and no worries about forgetting! 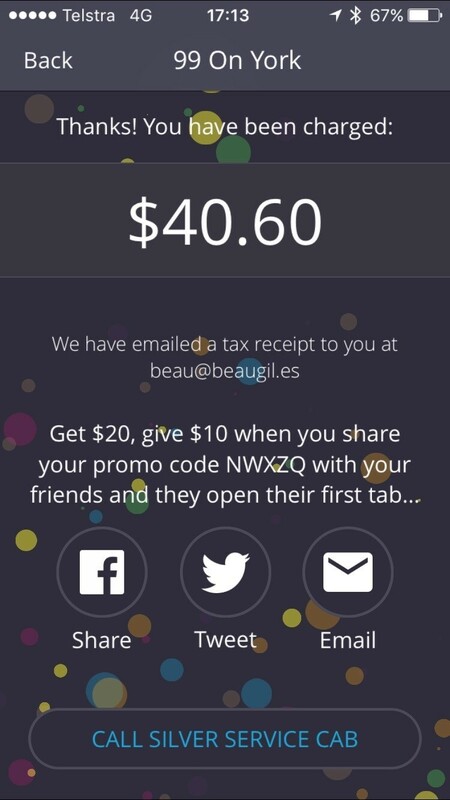 Get $10 off your first tab! Of course, everyone loves word of mouth – if you use my promo code – NWXZQ – when you sign up and open your first tab, you’ll get $10 to start you off.